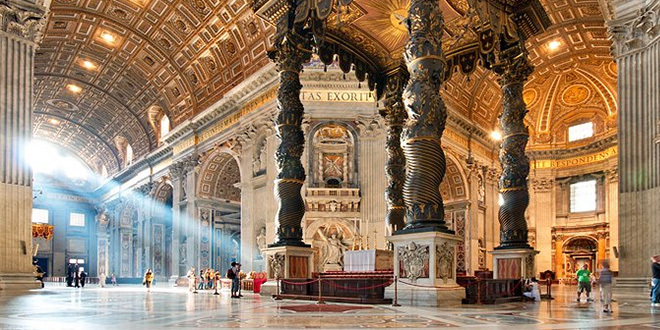 Precious artwork: St Peter’s Basilica in Vatican City. 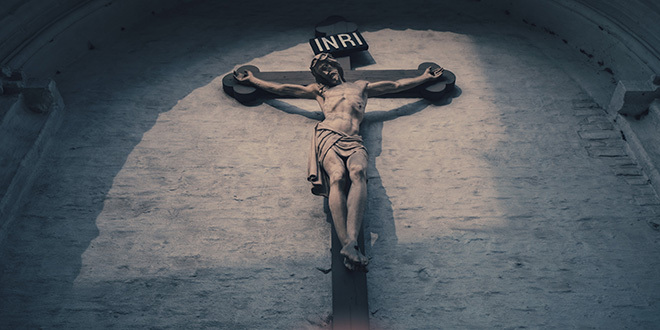 WHEN a former Governor General was baptised at the age of 85 last year – a man who had previously been an avowed atheist – I was interested to hear not only what had drawn him to the Church, but also what had driven him away from her in the first place. He mentioned in an interview that he had seen a film in his youth about the Vatican. This moving picture had been replete with images of marble statues and precious artwork. Walking out of the cinema, he had opined that the sculptures and the paintings ought to be sold, with the money distributed among the poor. At the time, he was enraged that the Church seemed so apparently indifferent to the plight of the needy that it could maintain such collections of art and statuary. It is a common complaint. I have not infrequently had occasion to respond to this very charge against the Church; it often arises in conversation with friends and family members. I have discovered that it is almost pointless to draw attention to the fact that the Catholic Church operates more than 140,000 schools, 10,000 orphanages, 5000 hospitals and 19,000 other health clinics; that the Church is the largest non-government provider of health-care services in the world; and that the contribution of more than 200,000 Catholic parishes and their respective parishioners around the world – in co-operation with Caritas, the St Vincent de Paul Society and other ecclesial bodies – is almost unfathomable in terms of relief and assistance to the poor, the homeless and the destitute. 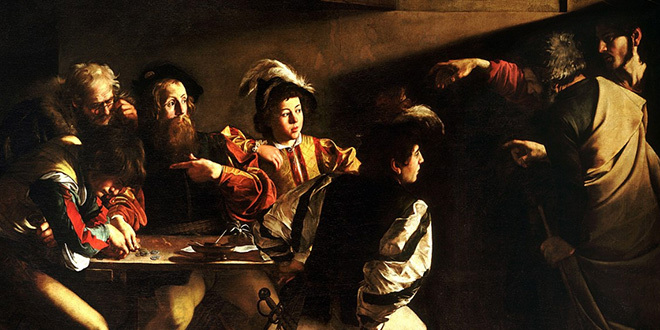 Priceless: The Calling of St Matthew by Caravaggio. The conversation never goes anywhere because, if our response is limited to their initial charge, we have accepted their underlying premises, which – as is often the case – are flawed. Human being are not simply creatures with material needs. We are not machines only in need of a regular oil change and an occasional road-worthy inspection to render us the fullest and most perfect expression of our humanity. We are not, as Gabriel Marcel once pointed out, simply an “assemblage of functions”. We are not only in need of material sustenance; our mind and soul must be fed as well. 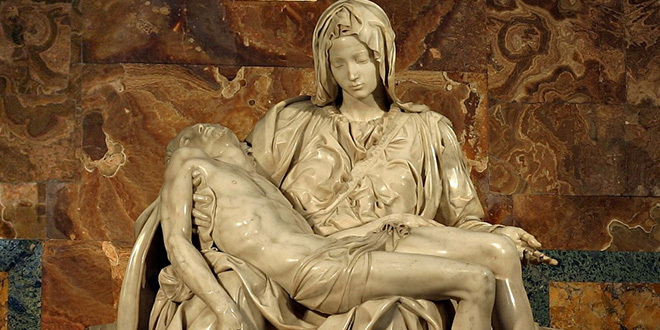 The Pietà has moved generations of men and women to recognise the suffering humanity that they share with Jesus and His Blessed Mother. The Grünewald Altarpiece articulated the infinite compassion of the Crucified Christ for countless sufferers of ergotism, plague and other diseases who were cared for in the Monastery of St Anthony in Isenheim. The rose window of Notre Dame Cathedral in Paris or the cycle of Caravaggio paintings in the church of San Luigi dei Francesi in Rome are so beautiful that they serve to draw the soul aloft to beauty Himself. The Church could sell everything it has and give all the money away; there would still be poor people in the world the following week. This is because we are sinful beings and almost inevitably exploit and degrade those weaker than ourselves. And if we were to sell all the artwork, every sculpture and reliquary, the Church and world would have been deprived of some of the most powerful expressions of the beauty, truth and goodness that we are called to emulate; those spurs to the imagination that beckon us forth to our ultimate destiny. We are surrounded by a secular society that insists that if we only applied a sufficient amount of grease to the machine, everything would run smoothly. The mechanism will never run perfectly because it is we who operate it. And we are very far from perfect. This is a truth that many in our society would have us ignore or – should we wish to notice it – our lives are arranged such that we are never given any opportunity to reflect upon this profound reality. W. H. Auden perceived our plight in the first decades of the last century, and the situation has neither changed nor improved since. The Church does all it can to alleviate the abject misery of many of the world’s poorest and most excluded – but we never lose sight of the fact that bread and medicine are, ultimately, not going to redeem anyone. For that we need a Saviour. Pope Francis: The pontiff all has called for Catholic institutions to place Jesus Christ at the front and centre of all that they do. When it comes to care for the poor, anybody who levels the charge of indifference or insufficient care against the Church is not only ignorant – willfully or otherwise – of the facts, but also entertains a purely materialistic conception of the human person that does not do justice to either our innate dignity or the immense majesty entailed by our origin and end. They are also choosing to ignore sin. Each of us, at some point in our lives, must begin to wrestle – down to the depths – with the innate, often painful truth of the truth of our own selves. We can, of course, try to ignore that truth. We can drink in the bar. Play the music just that little bit louder. All in the hope that we might not have to confront, for at least one more day, the truth. The truth acknowledged, though incorrectly diagnosed, by Cassius that, “The fault lies not in our stars, but in ourselves”. We could spend a life-time attempting to address the evils and ills of the world; in the end we must realise – as the former Governor General did – that we are unable to solve the problem of evil in the world by throwing more money at it or trying to “streamline” our systems into perfection. What we are dealing with is not a problem that can be objectified. As the philosopher Peter Kreeft has pointed out, “we cannot solve the problem of evil because we are the problem of evil”. Having lost a sense of our own sinfulness, we thrust ourselves forward as the champions of equity and right; we confect a universe in which we are at the centre, apparently distributing beneficent aid to all those helpless souls around us, who so desperately need us. The truth, of course, being that we may in reality be inadvertently exploiting those very people in order to achieve some mild level of self-satisfaction for ourselves. In our egotism, we contribute to the creation of those very structures of exploitation and injustice which we claim to condemn. 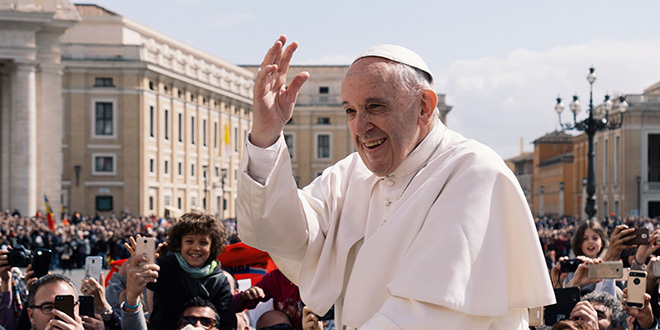 The Church does whatever she can to work with the poor and the suffering, in any country and in whatever walk of life, but she never loses sight of the fact that these souls emphatically do not need us – they need the Redeemer. The Church is concerned, above all else, with the salvation of souls. The horizon of Christian charity is incomparably more extensive than that expressed by purely materialistic considerations. We are not machines, simply in need of a regular oil change and shinier parts. To live, we need the Word of God as well as bread. We hope and believe that the beauty, truth and goodness expressed in the art of the Church helps to call this salient fact to mind. Were we to dispossess ourselves of that patrimony, we would not be fighting against poverty. We would instead be further impoverishing the hearts, minds and souls of our brothers and sisters who wander through this increasingly destitute world.